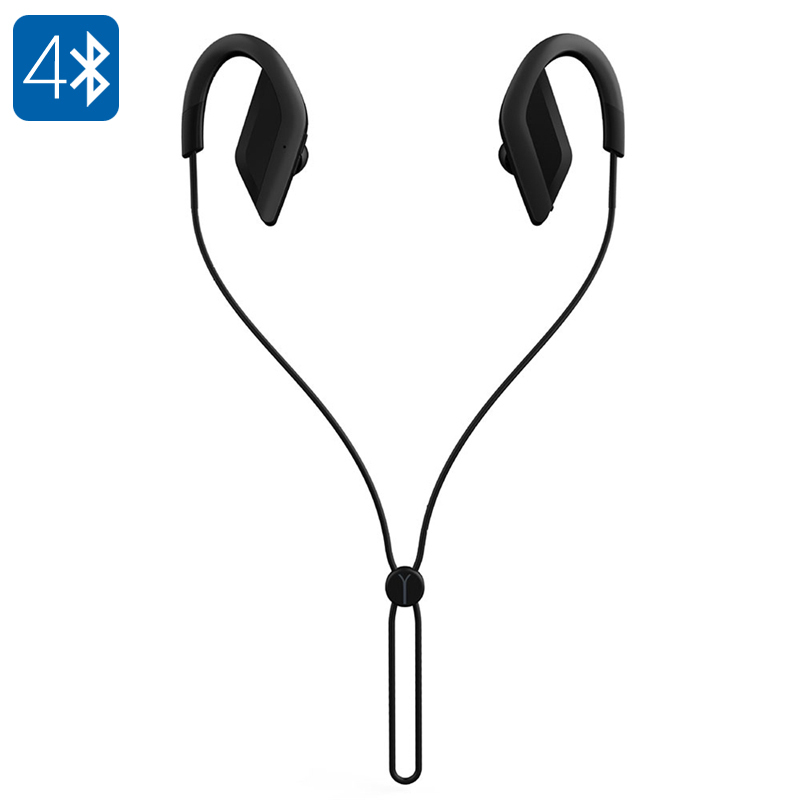 Successfully Added In-Ear Sports Earphones - Bluetooth 4.1, A2DP, AVRC, 100mAh Battery,10 Meters Range，Hands Free to your Shopping Cart. The S03 in-ear sports earphones feature a comfortable wrap around design. with a light weight build and built in mic these earphones let you enjoy music, answer calls hands-free and keep hooked up to your phone no matter where you're heading. The ergonomic in-ear wrap around design of these wireless earphones makes them comfortable to wear and ensure you get a fantastic listening experience as they efficiently block out external noise. Using Bluetooth 4.1 with A2DP and AVRCP support means you can take calls, list to music and control your playlist direct from the earphones themselves. The wireless earphones have a 100mAh built-in battery that brings up to 5 hours of stunning stereo music direct to your ears. An operational range of 10 meters lets you roam around the home without needing to take your cell phone everywhere you go. These wireless earphones come with 12 months warranty, brought to you by the leader in electronic devices as well as wholesale headphones and earphones..